Before Geoffrey Pesce got on methadone, his addiction to heroin and oxycodone nearly destroyed him: He lost his home, his job, custody of his son—and his driver’s license. So even after he began to rebuild his life, Pesce relied on his parents to drive him to a methadone clinic for his daily dose. One day last July, his mother was unexpectedly unavailable, and desperate not to relapse, he drove himself. En route, Pesce was pulled over for going 6 miles above the speed limit and charged with driving with a suspended or revoked license, which carries at least 60 days in jail. Pesce began staring down the day he would plead guilty and, as mandated by the rules of the jail in Essex County, Massachusetts, stop taking the addiction drug that he said saved his life. Most jails and prisons around the country forbid methadone and a newer addiction medication, buprenorphine, even when legitimately prescribed, on the grounds that they pose safety and security concerns. The drugs are frequently smuggled into facilities and sold or traded among prisoners. Pesce worried that while he went through withdrawal from methadone in jail, someone would offer him drugs, and he wouldn’t be able to refuse. He turned to the courts for a solution: Pesce sued the Essex County sheriff on the grounds that his addiction was a disability and that denying him treatment was a violation of the Americans with Disabilities Act, as well as cruel and unusual punishment. “I am terrified that if I am unable to remain on my medication,” he said in court papers, “I will lose control of my addiction, and I will relapse, overdose and die.” In November, a federal judge in Massachusetts sided with Pesce in what attorneys describe as the first ruling of its kind. The case has put Pesce at the center of a legal debate that could change how people recovering from opioid addictions are treated in jails and prisons. His is one of at least four cases nationwide in which addicts have claimed that to deny them their medication while they are incarcerated amounts to discrimination on the basis of their disability. That argument is gaining traction among lawyers and advocates who work on behalf of people with addictions, as well as some federal law enforcement officials. A lawsuit in Maine, brought by the state’s chapter of the American Civil Liberties Union, was settled in September when the jail agreed to provide the plaintiff with access to buprenorphine. The ACLU then promptly filed another claim on behalf of a woman in similar circumstances. Another case, in Washington state, is in settlement negotiations. So far these rulings have been narrow, pertaining only to the individuals who sued. But “every time a prison or jail agrees that they’re going to do this, it makes it harder for other prisons or jails to say it’s impossible,” said Zachary Heiden, the ACLU attorney who filed the suits in Maine. The landmark Americans with Disabilities Act, signed into law in 1990, bans discrimination against people with disabilities and requires that public places or services be made accessible to all. From its inception, the law included protections for those recovering from alcoholism and drug addiction. Yet until recently, the law was rarely invoked on behalf of prisoners taking methadone and buprenorphine. “It took this many people dying for people to do what they should have been doing all along,” said Sally Friedman, an attorney with the Legal Action Center, an advocacy group that has argued for years that people on addiction medications in the criminal justice system are protected by the ADA. In the two weeks after release, prisoners are 12 times more likely to die—and 129 times more likely to die of an overdose—than the general population. Forced abstinence behind bars means addicts are released with a lower tolerance and an increased urge to use. In Rhode Island, a program to provide addiction medications in the state’s prisons and jails reduced overdose deaths among the recently incarcerated by more than 60 percent in two years. Yet of the thousands of jails around the country, only about 30 provide methadone and buprenorphine to people incarcerated there, said Andy Klein, a senior scientist for Advocates for Human Potential, which provides training and technical assistance through the Justice Department to prisons and jails with drug treatment programs. As the opioid epidemic rages on, a record number of Americans take these medications, which are designed to block cravings. Meant to address physiological changes that come from longstanding addiction, methadone and buprenorphine work by activating opiate receptors in the brain. They are both opioids, which has traditionally led law enforcement to regard them with skepticism. One commonly voiced concern is that opioid medications are simply substituting one addiction for another, although scientists and government officials call that a misconception. But there may be a shift in how law enforcement officials view addiction treatment. 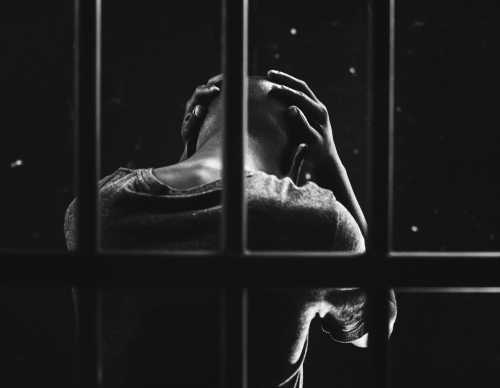 Last year the National Sheriffs’ Association published a resource guide arguing that more jails should provide access to buprenorphine and methadone. And at least one federal prosecutor is investigating jails for not providing drug treatment to recovering addicts. In October, Andrew Lelling, the U.S. attorney in Massachusetts, sent Coppinger and another county sheriff letters informing them that their offices were under investigation for potential ADA violations for not allowing access to buprenorphine and methadone to addicts with a valid prescription. Lelling had previously alerted the state’s Department of Corrections that it was under investigation. People in treatment for opiate addiction “are already protected by the ADA,” he wrote to the corrections department last spring, and the state “has existing obligations to accommodate this disability.” Jason Dobson, a corrections department spokesman, said it would be premature to comment on the ongoing investigation. Attorneys and advocates for people with addictions interviewed for this story were unaware of other federal prosecutors pursuing similar probes of jails or prisons. But in 2017, a Justice Department official announced an “Opioid Initiative” to ensure that people who get treatment for drug addiction “do not face unnecessary and discriminatory barriers to recovery.” At an addiction conference last year, two Justice Department lawyers said the initiative includes enforcement under the ADA and that they were working in partnership with U.S. attorneys nationwide. Lelling’s office and the Justice Department, which has not publicly released details about its initiative, declined to comment and did not provide information in response to Freedom of Information Act requests. After losing his legal battle in the Pesce case, and after receiving Lelling’s letter, Coppinger said he had a change of heart. He signed onto a state pilot program starting last fall, in which a handful of jails will provide prisoners with addiction medications, with an eye toward expanding the program throughout the state. Now Coppinger is faced with a raft of logistical issues that few of his peers have managed. Opening a federally licensed methadone clinic on site at a jail is a red tape­–snarled process. Under court order to provide Pesce methadone in a matter of days or weeks, Coppinger has arranged to transport him to an outside clinic for his daily dose. But that entails sending two correctional officers and a transport van off-site for several hours each day, which is not a scalable solution when dozens or hundreds of inmates are involved. Even buprenorphine, which unlike methadone can be administered at the jail, will require intense supervision to prevent prisoners from selling or giving the meds to others. Other facilities have done post-dose “mouth checks” or required inmates to place their hands on a desk for several minutes, eat crackers and drink water after they take their dose, with a nurse or correctional officer watching. The ADA does say someone currently using drugs illegally is not considered an “individual with a disability”—that term generally applies to a person in recovery—but the law also says that even current users can’t be denied health care. But much of how the ADA applies in these situations is open to interpretation and hasn’t been tested in the courts. What about those with a longstanding addiction who arrive with no prescription but could benefit from medications? The law is not clear on whether the ADA would apply to them, either. “As we move forward, we’re going to look at each arrival on a case-by-case basis,” Coppinger said. This article was originally published by the Marshall Project, a nonprofit news organization covering the U.S. criminal justice system. Sign up for the newsletter, or follow the Marshall Project on Facebook or Twitter.